For the third year in a row, Da-da's trees started changing color on July 1st. 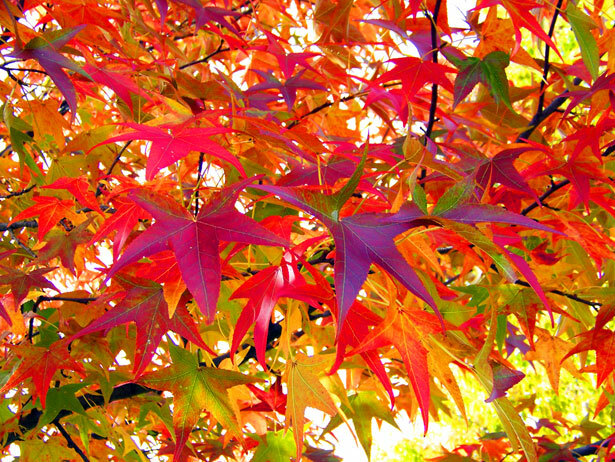 Da-da has noticed pre-autumn leaves on both the East and West Coasts of the U.S. Anyone international readers having similar observations? Da-da's pet theory is that, since the sun's output has lessened so dramatically over the past 20 years, deciduous trees are indicating an onset of global cooling -- however, this could be regional. Global climate change will feature both hotter hots and colder colds. We'll have to wait and see.